Despite their decision to hold onto him at the trade deadline, the Oilers have yet to engage in any discussions regarding a contract extension for winger Alex Chiasson, reports Sportsnet’s Elliotte Friedman. The 28-year-old is in the midst of a career season with 20 goals and 13 assists in 64 games and has provided Edmonton with some much-needed secondary scoring. While it’s certainly possible that the team is waiting until a new GM is hired before commencing negotiations, interim GM Keith Gretzky has the green light to make personnel decisions like this. While a 20-goal scorer could typically stand to land a nice deal on the open market, the fact that Chiasson has bounced around as of late will lower his value somewhat and may make him more open to signing a reasonable extension if the team decides to open up discussions. Despite his recent struggles, Mikko Koskinen is expected to remain the starter moving forward, per a TSN report. While that in itself isn’t entirely noteworthy, it will, however, make it difficult for the Oilers to retain Anthony Stolarz’s rights as a restricted free agent. He needed to play at least 30 minutes in 10 games following his acquisition from Philadelphia to avoid unrestricted free agency. Tuesday’s relief appearance was only his third and with only nine games left, it will be difficult for the team to get Stolarz seven more games with that much playing time if they intend to keep Koskinen as the starter. Postmedia’s Jim Matheson believes that Edmonton will likely take a run at signing winger Daniel Carr this summer. The Alberta native signed with Vegas last summer in the hopes of finding a more permanent NHL role but has played only six games with the big club. Instead, he leads the AHL in scoring with 71 points in 52 games and with the Oilers in need of cheap offensive-minded wingers, it appears that Carr could be a natural fit. 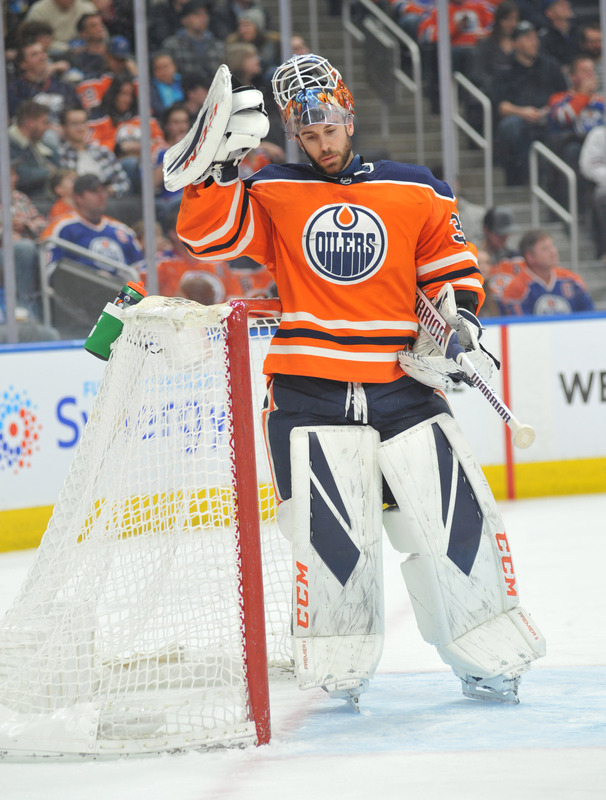 Following their loss to Carolina on Friday night, the Oilers pulled the trigger on trading goalie Cam Talbot, sending him to Philadelphia in exchange for netminder Anthony Stolarz. Both teams have announced the swap. This move had been speculated over the past couple of days although it was believed that the Flyers preferred to send veteran Brian Elliott in the deal instead. Edmonton was facing a cap crunch with the pending return of defenseman Andrej Sekera as they needed to clear some room to activate him off LTIR. This move does that and more as the deal frees up just over $3.4MM in full-season cap space so when Sekera is indeed activated, they’ll still have a couple million at their disposal. Beyond that, the deal is intriguing for both sides. In Talbot, the Flyers acquire what should be an upgrade for their backup position over Elliott and the oft-injured Michal Neuvirth which will help in the short term as they can ease Carter Hart’s workload down the stretch if they so desire. It will also allow them to get a look at the pending unrestricted free agent to see if he’s the right fit to work with Hart for the next few seasons. The two goalies know each other well already so there’s a good chance that this played into the decision. Talbot will need to fare a lot better with Philadelphia than he did with Edmonton if he wants to come close to matching his current AAV of $4.167MM though. He lost the number one role to Mikko Koskinen while his GAA (3.36) and SV% (.893) are the worst of his career. 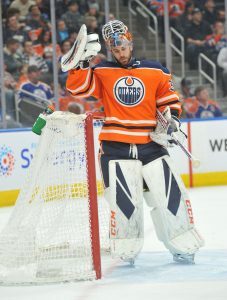 However, his career numbers are much more impressive with a 2.59 GAA and a .915 SV% in 284 games between the Oilers and Rangers and the Flyers are hoping he’ll be able to return to that type of level. When he does suit up in a game for them, he will be the eighth different goalie they’ve used this season which will set an NHL record. As for the Oilers, they too get to evaluate a potential fit for next season in beyond in Stolarz. The 25-year-old has battled injury issues over the past two seasons, playing in just 21 games combined over that span (including his stints in the AHL and ECHL). 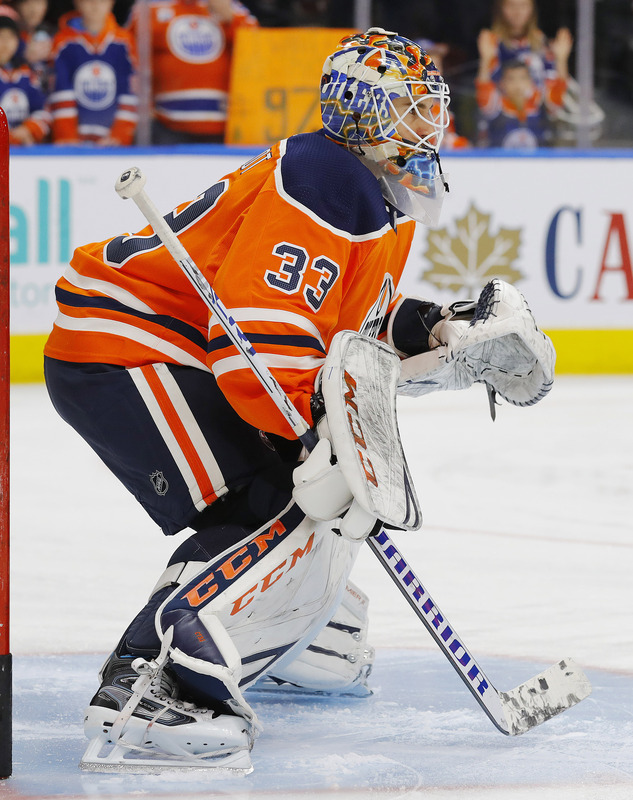 He was inconsistent with the Flyers this season, posting a 3.33 GAA with a .902 SV% in a dozen appearances and it’s likely he’s going to see a lot of action with Edmonton down the stretch. Stolarz has to play at least 30 minutes in 10 of Edmonton’s remaining 25 games in order to avoid qualifying for Group Six unrestricted free agency this summer. Accordingly, expect Ken Hitchcock to be calling his name early and often in the weeks to come. If he reaches that target and becomes a restricted free agent once again, the Oilers will owe him a qualifying offer of just over $799K. TSN Insider Bob McKenzie is the latest to release his midseason draft rankings, and like all the rest he still has American phenom Jack Hughes at number one. McKenzie’s rankings are based on a survey of anonymous NHL scouts, meaning that if the draft were held today the young center would undoubtedly be the top choice. It’s the rest of the rankings that bring some intrigue, as McKenzie notes that there is a group of several players that have closed the gap on Hughes at the top of the list. Players like Vasili Podkolzin (#3) and Bowen Byram (#6) are making scouts turn their heads and notice how dominant they can be, en route to potential top-five selections in June. This year’s draft is sure to be an interesting one given the skill at the top, and one that almost no team is going to want to give up a lottery pick for. The AHL has made two more adjustments to their All-Star rosters, this time adding goaltender Kevin Boyle and forward Michael Bunting to the Pacific Division group. Troy Terry and Pavel Francouz will be unavailable, a disappointing turn for the Anaheim and Colorado players. Still, the Ducks will now get to watch Boyle suit up while the Arizona Coyotes will have another representative in the form of Bunting, who has 26 points in 27 games for the Tucson Roadrunners when he wasn’t playing in the NHL. Anthony Stolarz has done enough to show his health for the Lehigh Valley Phantoms and was recalled today by the Philadelphia Flyers, but the player replacing him in the minor leagues will turn some heads. Carter Hart has been sent down over the break so that he can keep playing, but the Flyers will have a decision to make when they return to action. Hart has easily earned a spot in the NHL with his strong play as a rookie, but the team likely wants to get Stolarz some playing time too. They’ll have to work to keep them both fresh down the stretch and see if they are a potential tandem for next season. Stolarz is a restricted free agent while other goaltenders Mike McKenna, Brian Elliott and Michal Neuvirth are all headed for unrestricted free agency.